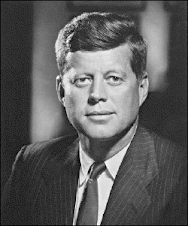 Anyone seeking explanations about the 1963 assassination of President John F. Kennedy should read the facts, now available in 5.5 million pages of records at the National Archives, a federal judge said last week. The government had harbored substantial documentation on the assassination in secrecy until the 1990s, when U.S. District Judge John Tunheim and the independent federal agency he chaired pried millions of pages loose for public scrutiny. The work of the U.S. Assassination Records Review Board took on the nation’s law enforcement and intelligence agencies, bringing sunlight to what had been a shadowy investigation prone to conspiracy theories. 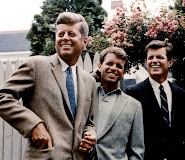 “I think it’s created needless questions in people’s minds that the government was hiding something,” said Tunheim, of Minneapolis, who will talk about documentation of Kennedy’s assassination at the Washington County Historical Society’s annual meeting Thursday. Kennedy was shot and killed on Nov. 22, 1963, in Dallas as he rode in the back seat of an open limousine with his wife, Jackie. The first shot, fired from a sixth-floor window of the Texas Book Depository building behind him, struck his upper back and exited from his throat. Another shot, considered the fatal wound, tore through his head. Investigators concluded that Lee Harvey Oswald, a former Marine sniper with connections in Russia, was the lone assassin. However, conspiracy theories still abound, driven by inconsistencies in the federal investigations and in law enforcement and witness statements. Conspiracy theorists argue that a second shooter fired the fatal shot from a grassy knoll in front of Kennedy and contest how a “magic bullet” that Oswald fired could have struck Kennedy and Texas Gov. John Connolly, sitting in front of the president, in such an indirect fashion. When Tunheim speaks in Stillwater, he will start with a video presentation that will include the controversial Zapruder film — a home movie showing Kennedy on the parade route when he was shot — and broadcast clips of Walter Cronkite announcing the assassination. He’ll also talk about the review board’s findings and challenges. With the 50th anniversary of the president’s death coming in November, many Americans will revisit details of the shooting and question how such a tragedy could happen, he said. 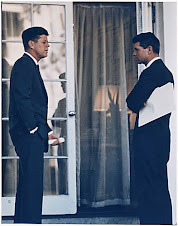 The review board, working from 1992-98, was mandated by the President John F. Kennedy Assassination Records Collection Act of 1992 to gather and open all records concerned with his death. Congress passed the legislation, known more simply as the JFK Act, because of disturbing conclusions promoted in Oliver Stone’s movie “JFK,” which made a case for a deep conspiracy by the nation’s military-industrial complex. “We released everything we found that was actually related to the assassination,” Tunheim said, attributing the prevalent secrecy to the Cold War and its subsequent hangover. “It was really the way we did business in the 1960s,” he said. The 1990s, he said, brought a change in national attitude about the Kennedy records. “The Cold War was over and 9/11 hadn’t happened yet,” he said. Tunheim said researchers should trust only official documents and be wary of information, represented as truth, that widely circulates on the Internet. 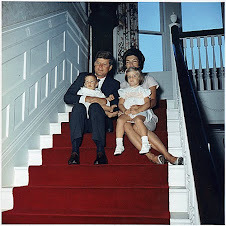 He said the federal collection that’s now public includes about 15 autopsy photos and X-rays, and he doubts the authenticity of Internet photos purporting to show Kennedy. Lack of protection for the president in Dallas was appalling, Tunheim said. • What: U.S. District Judge John Tunheim will discuss challenges facing the U.S. Assassination Records Review Board as it persuaded agencies to release millions of pages of federal records relating to the shooting death of President John F. Kennedy in 1963. Tunheim will be the featured speaker at the Washington County Historical Society’s annual meeting. • When: Thursday, Sept. 19. Social hour begins at 5:30 p.m., dinner at 6:30 p.m., with Tunheim’s program at 8. • Where: Water Street Inn, 101 Water St. S., Stillwater. • How much: The event is open to the public. Admission costs $20 for society members and $25 for nonmembers. Reservations are required by calling 651-439-5956, or go to www.wchsmn.org.